Have you ever been curious to know what your DNA says about your healthy and longevity? Well, we have as we want to get the most out of living each and every day of our lives and doing everything right so we can live long happy, and healthy lives. My husband and I enjoy traveling all over in our RV and we just love to get outdoors and exploring all the surroundings, we lead a pretty healthy lifestyle but have always been quite curious knowing what our DNA says about us so we decided to give TeloYears! Ordering the Telo Years At Home Sample Collection Kit was simple enough to do by answering a few health related questions it arrived in less than two weeks and contained a pink finger stick lancet, one-drop blood collections strip, yellow top transport tube, alcohol wipe, gauze pad, adhesive bandage, small clear baggie, pre-paid envelope and easy to follow instructions. It's a very simple, easy and painless process that can be attained with a simple blood test. 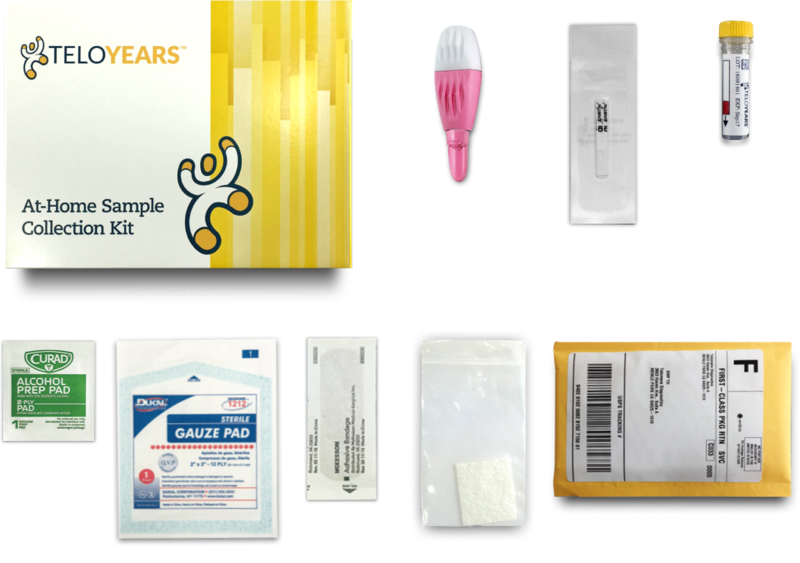 By getting tested Telomeres will reveal your genetic age. What are Telomeres you ask? Well, they are sections of your DNA find in every single chromosome in your body. When we're born these telomeres are at their longest and they shorten throughout our lives and through cell division they lose a bit of their DNA until they cannot be replicated and become senescent which simply cellular aging. The shorter these telomeres are shorter telomeres are associated with a number of age-related diseases, and that lifestyle, genetic, environmental, and other factors can affect your telomere length. In less than six weeks our reports came back with wonderful news; it looks like our busy, active and healthy lifestyles are paying off for the both of us! We were extremely happy to know we both have excellent genes and that we're both aging slowly and gracefully. My husband is 56, my husband is 29 in Telo Years; I am 50 and I'm 30 Telo Years. The report was detailed quite easy to understand. They also included Telo Years Blueprint For Aging Well which outlines suggestions how we can both get the most of our Telo Years.